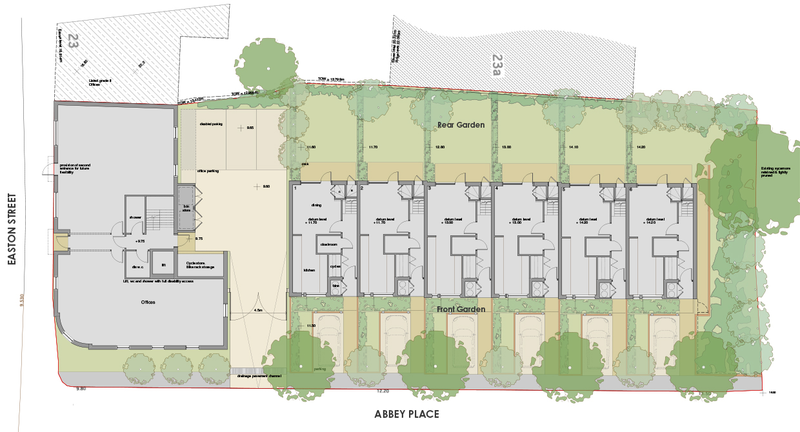 A redundant infill site on the outskirts of the town centre afforded an opportunity to create a small mixed use development of new homes and office spaces with a diversity of architectural designto complement its location. 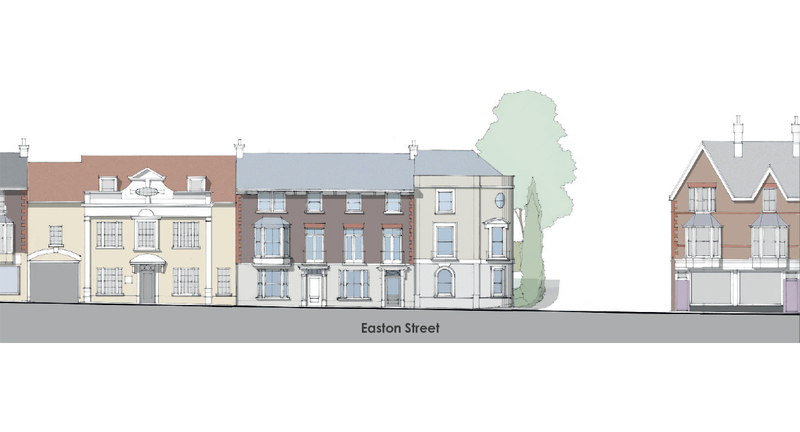 The listed facades that neighbour the site on Easton Street were augmented by new buildings to complement the traditional mix of facade design with sympathetic finishes of render and brick. These read as a continuation of existing historical built form while contributing tothe variation and quality of the adjoining street frontage. The internal areas were given over to employment office space at ground floor level and small apartments to the levels over. 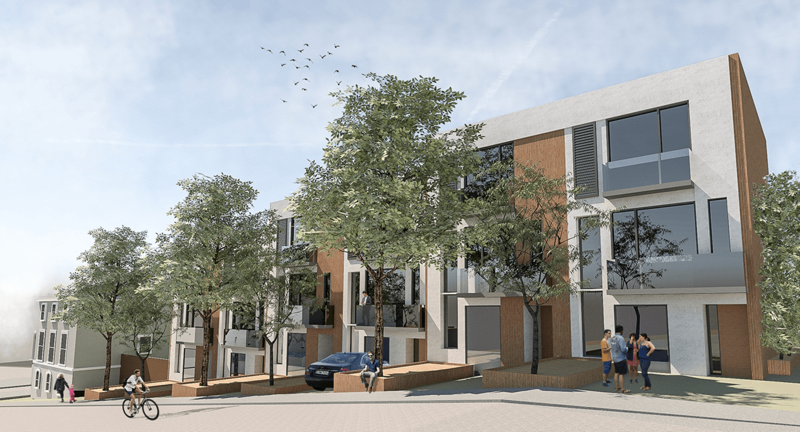 Further into the site, to Abbey Place, along the secondary frontage, and on rising ground, a terrace of contrasting design for 8no3-storey contemporary houses were created. This made good use of residual space and afforded the opportunity to introduce gardens and frontage planting providing environmental improvement to what had becomea barren disused space. 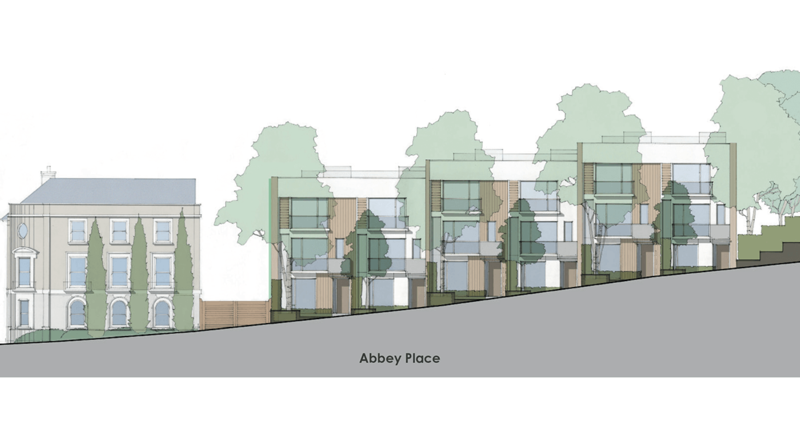 By creating a secondary frontage of larger family homes along Abbey Place this provided site enclosure and dual outlook. The terrace of contemporary townhouses reinvigorating the street scene and the site was successfully reintegrated into the immediate locality.